One of the most important holidays of Christianity is Easter. Everyone knows that Easter celebrates Jesus Christ’s resurrection but perhaps not many of us are familiar with other interesting facts about Easter. Do you know where exactly the modern traditions such as the egg and bunny come from? If not, read on to find out more about this Christian festival. Easter is a moveable feast because it doesn’t fall on a set date every year, unlike most other holidays. Each year it falls between 21st March and 25th April, depending on when there’s a full moon in spring. 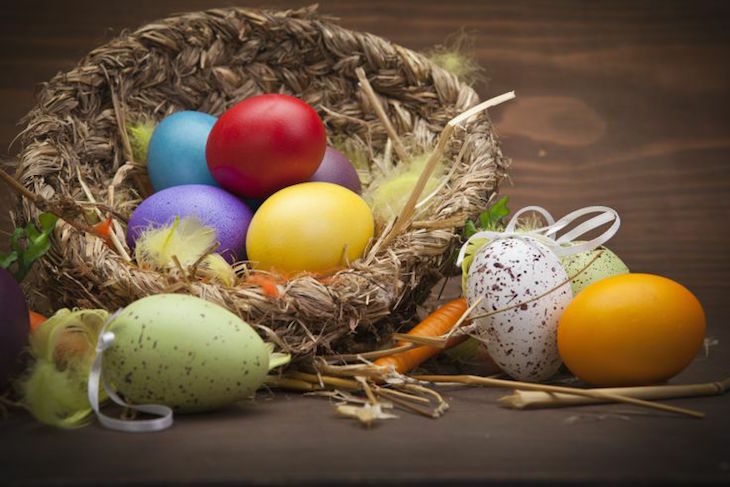 As Orthodox Christians use the Julian calendar to calculate when Easter will occur, they celebrate Easter a week or two after the Western churches, which follow the Gregorian calendar. The exact origin of the name ‘Easter‘ is unknown, however according to some sources the word derives from the Anglo-Saxon word eastre or eostre meaning spring or dawn goddess. Eostre the Germanic goddess of spring and fertility was honoured at pagan festivals celebrating the arrival of spring. Interestingly, the word for the “female hormone” estrogen derives from her name. Easter celebration has a long history and many traditions that we practice today evolved from pagan symbols. What happened is that the ancient Roman Catholic Church mixed the celebration of Jesus’ resurrection with celebrations that involved spring fertility rituals in order to make Christianity more attractive to non-Christians. The early pagan religions and traditions honoured the goddess Eostre with sacrifices offered about Passover time each year. Biblically speaking, there is no connection between the resurrection of Jesus Christ and the common modern traditions related to Easter Sunday. The traditions of Easter eggs and Easter bunny are originated from the ancient spring fertility rituals. Actually the custom of giving eggs has been traced back to Egyptians, Persians, Greeks and Romans, for whom the egg was a symbol of life. The practice of decorating eggshells can be traced as far back as the early Christians of Mesopotamia, who dyed eggs red in memory of the blood of Christ. The tradition of cracking open Easter eggs is to celebrate the empty tomb of Jesus. Today, the modern custom is to substitute chocolate eggs or plastic eggs filled with confectionery such as jelly beans. 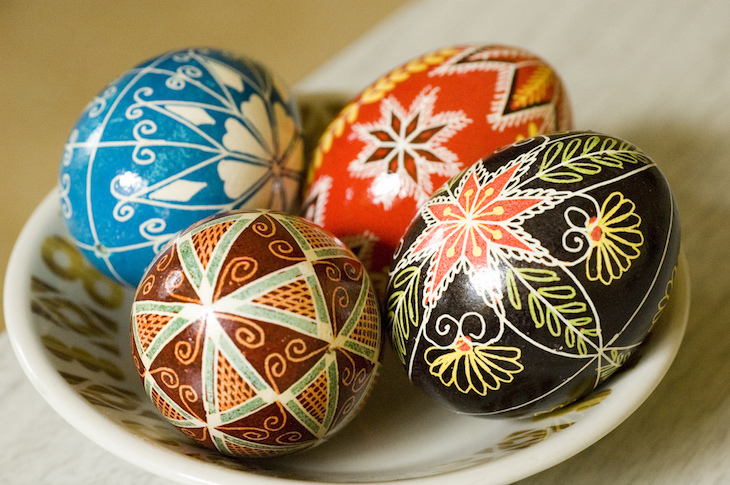 The art of painting eggs is called pysanka and it originates from the Ukraine. Using a wax-resist method the eggs are decorated with beautiful folk motifs. Today we can buy artificial colors but once, egg dyes were made out of natural items such as onion peels, tree bark, flower petals, and juices. Rabbit is known as a symbol of fertility and it was also the earthly symbol of the goddess Eostre. Since rabbits and hares give birth to large litters they became a symbol of fertility and new life. The story of the Easter bunny is thought to have become common in the 19th century. Today it is the most commercially recognized symbol of Easter. 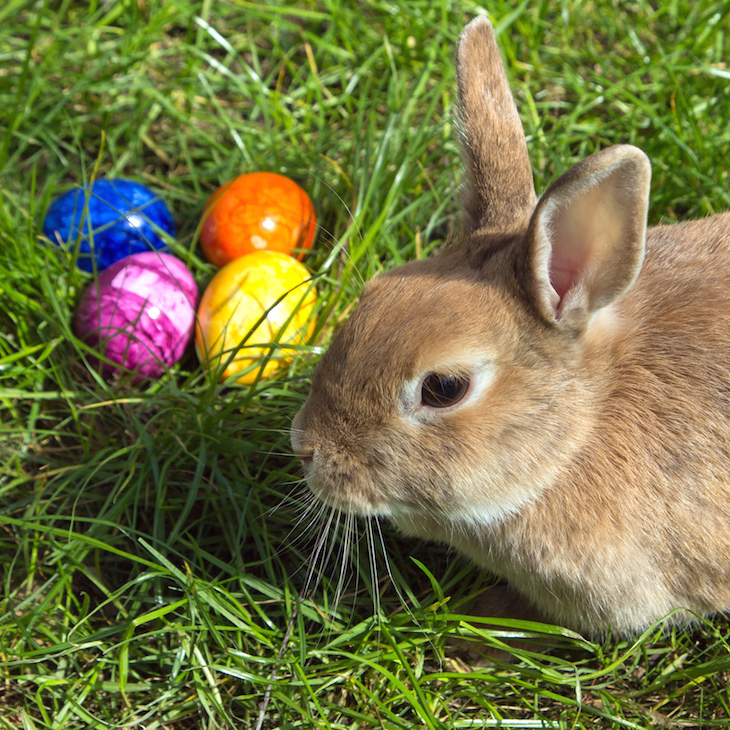 The first story of a rabbit – later named the Easter Bunny – hiding eggs in a garden was published in 1680. According to the legend the Easter bunny lays eggs and brings presents which he puts into a basket in a designated place or hide them somewhere in the house or garden for the children to find when they wake up in the morning. In some countries easter eggs are delivered by a cuckoo (Switzerland) or by a fox (in parts of Germany). You can find Easter eggs in all shapes, sizes and colors but there are a few special eggs designed luxuriously. For example the Mirage Egg. 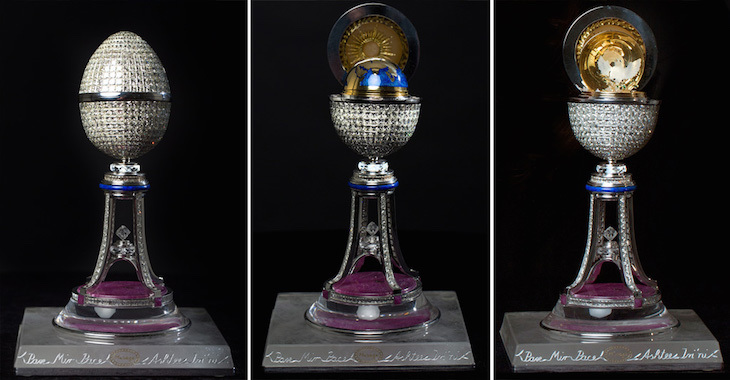 It is a cross between a Faberge Egg and Damien Hirst’s jewel encrusted skull. Made by a team of artisans from around the world, the egg took three years to complete. The shell has 1000 diamonds and inside there is an 18 carat gold globe. The globe opens to reveal a crystal dove perched on a gold olive branch. The Mirage Egg was sold for £5 million, and is currently owned by a mystery collector. Easter egg rolling and Easter egg hunts have become integral to the celebration of Easter today. Every year there is a big Easter Egg Hunt at the White House in Washington D.C to celebrate Easter. The first Easter Egg Hunt at the White House was in 1878. The largest Easter egg hunt was held by the State of Florida, where 9,753 children searched for 501,000 eggs. Easter is celebrated across the globe by every Catholic nation and it is celebrated slightly differently everywhere. In the Philippines for example, hundreds of devout Catholics spend Good Friday self-flagellating and nailing people to the cross to replicate the suffering of Jesus. It is believed to cleanse the soul, and even cure illnesses. Lent is a six weeks period of self-discipline, fasting, moderation, and self-denial traditionally observed by Catholics. It begins with Ash Wednesday and ends with Easter Sunday. In Greece, after the midnight resurrection service, locals consume a traditional meal, called magiritsa. It is a lamb soup that consists of all the offal removed from the lamb before roasting. 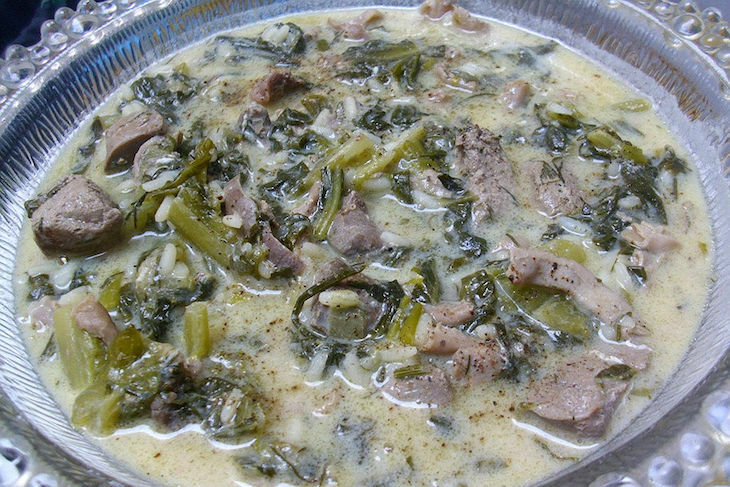 If you would like to try a bowl of steaming lamb’s stomach soup, click on the link for the recipe. The tallest chocolate Easter egg ever made was 10.39 metres tall and weighed 7,200 kg. It was taller than a giraffe and heavier than an elephant. It was made in Italy in 2011. The largest decorated Easter egg reached almost 15 meters in height and 8m in diameter, made in Portugal in 2008. More than 700 million marshmallow Peeps, over 16 million jelly beans and more than 90 million chocolate bunnies are consumed during Easter only in the US alone. Americans spend $1.9 billion on Easter candy, making Easter the second biggest candy holiday after Halloween.